Austrian Airlines pilot leaves cockpit to press female passengers to move seats at behest of haredi men refusing to sit near women. The pilot of an Austrian Airlines flight had to leave the cockpit and convince several women to change their seats after haredi men refused to sit next to female passengers. 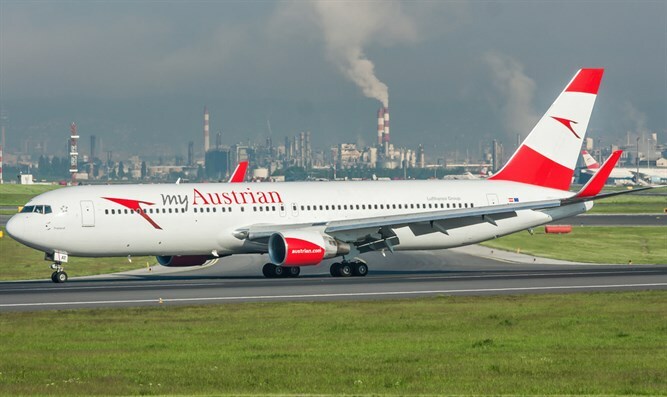 The 26 haredi men had been scheduled to fly to Vienna on the Polish national airline LOT, but when that flight was cancelled moved to the Austrian Airlines flight. Stewardesses on the flight reportedly tried to convince the men to take their assigned seats but those next to women refused. Eventually, the pilot came out and convinced several women to move their seats, Ynet reported. The incident comes a week after an El Al flight from New York to Israel was delayed by more than an hour after four haredi men refused to take their assigned seats next to women. Two women eventually agreed to change their seats in order to allow the flight to take off.